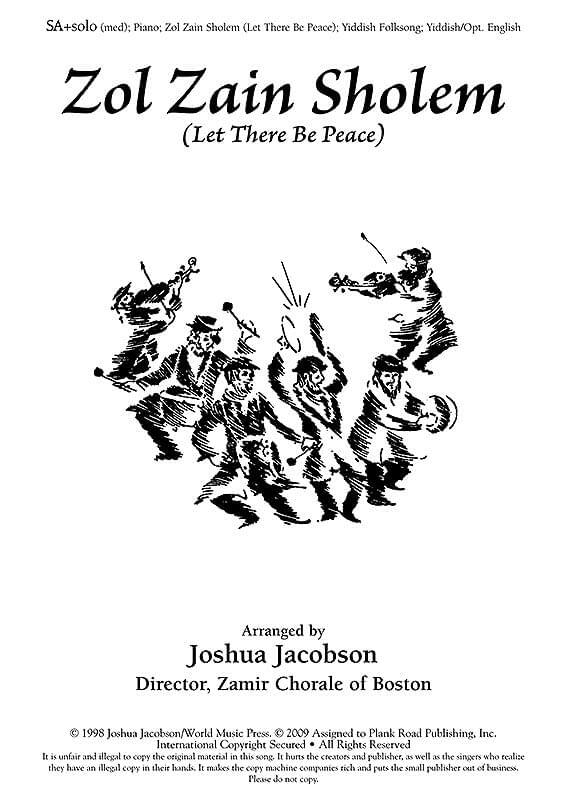 This joyous Yiddish call-and-response song from Eastern Europe was arranged by Joshua Jacobson. Though done in Yiddish, this also has optional English lyrics. It is a great alternative for Hanukah, and the optional lyrics even include Hanukah symbols. Double the voices on clarinet, sax, and/or flute and add the vampy piano accompaniment for an authentic Klezmer sound! Two to four parts with solo handled by any voice part and a chorus that begs the audience to jump in. Easy to medium difficulty. SATB; SA.